Hiked by members of Comox District Mountaineering Club June 5, 2017. Hiked by members of Comox District Mountaineering Club, Nov. 11, 2018. Hiked by members of Comox District Mountaineering Club, Oct. 20, 2018. Track recording is one way only and includes drive with 4x4 on logging road to trailhead. 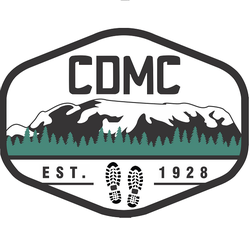 Hiked by members of Comox District Mountaineering Club 2017-05-17 and 2018-07-16. Hiked by members of Comox District Mountaineering Club on 2017-06-04 and 2017-07-08. Couldn’t get vehicles to trailhead on the 2018 hikes. The recorded track is from 2018, therefore it includes approximately 2km hike in and 2km hike out on logging road. Hiked by members of Comox District Mountaineering Club, June 27, 2018. Hiked by members of Comox District Mountaineering Club, June 16, 2018. Backpack 4 nights by members of Comox Districk Mountaineering Club.